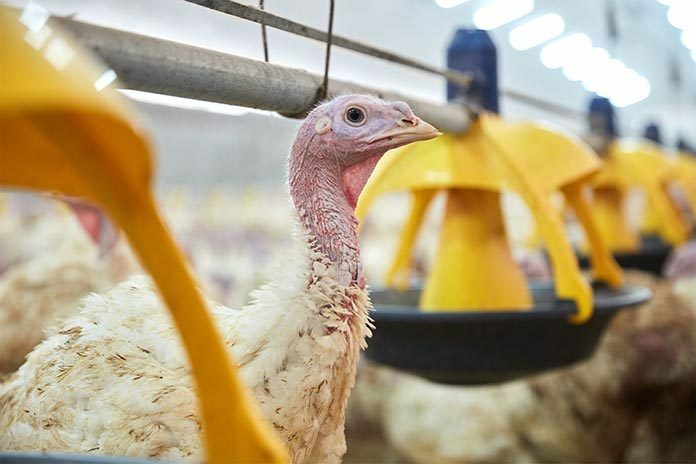 On February 6, Roxell, the leading manufacturer of automatic feeding, drinking, nesting and heating systems, is launching Titan, a new automatic feeding system for heavy turkeys. In recent years, these birds have undergone a huge evolution in terms of weight. This XL feed solution anticipates the practical problems that come with feeding these more voluminous and stronger turkeys. 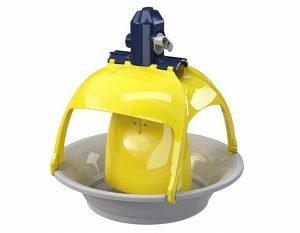 With Titan, Roxell is putting the largest, strongest and most easy to clean pan on the market. Driving the development of Titan was the question: ‘how can we give turkeys the best possible access to feed and therefore the best chance of growing to their maximum weight.’ The pan is larger than any other pan to accommodate the heavy animals. The circumference of the pan is also 21% larger than Optimax, Roxell’s previous turkey pan. However, the issue with heavy, adult turkeys is not only the extra space they require; they’re also stronger. Titan was therefore designed to be more durable than its predecessors. The connection between the pan and the tube at the top is now 20 cm or 8” compared to 5 cm or 2” previously. This provides a larger anchor, which makes an already strong pan much stronger. Cleaning the pan after each flock is now quicker than ever. You click the pan open on the side, which allows you to clean it thoroughly without having to completely remove the bottom pan. For new flocks of chicks, there is also a starter pan: a small, gray bottom pan, which is easy to switch once the birds are 5 to 7 weeks old.